Email is still one of the most popular way to share files between different parties. I have to admit that it’s also one of the most efficient way to collaborate as well. But integrating emails with the modern cloud service should streamline the workflow, shouldn’t it? 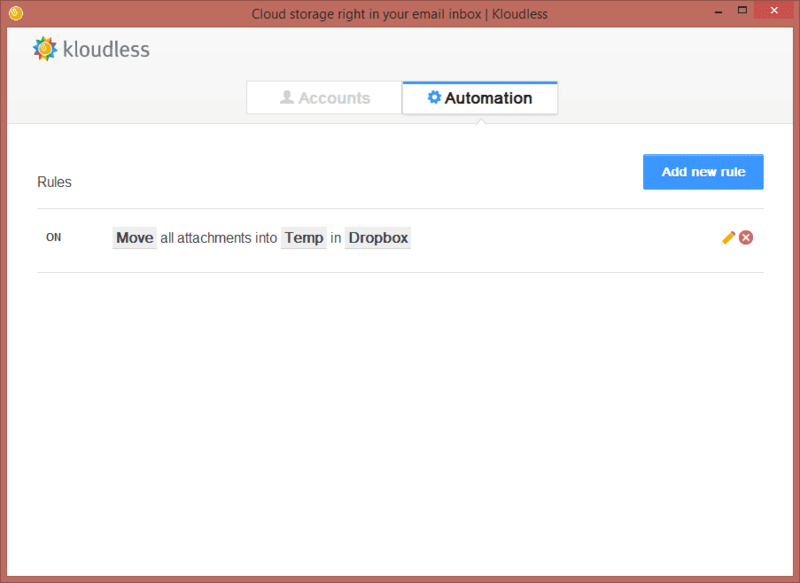 At least, people at Kloudless believe it and has come up an idea to bring your inbox and cloud service together. 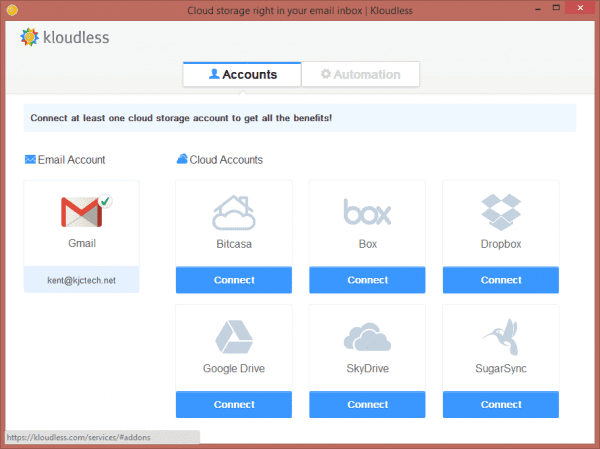 Kloudless, currently in public beta, is a Google Chrome Extension that works with Gmail to allow you to move or copy your Gmail attachments directly to the cloud, including Dropbox, Box, Google Drive, SkyDrive, SurgarSync, and Bitcasa. The file transferring between your Gmail and Cloud services is fully secured by strong encryption as well. 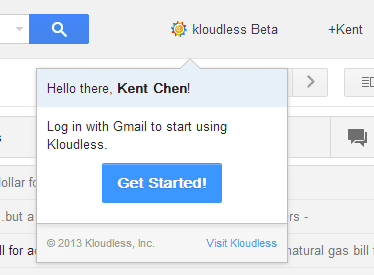 To start, simply go to Kloudless Chrome Extension page, and install it on your Chrome browser first. Once it’s installed, refresh your Gmail page, and you will see a new icon added into the top of Gmail page, next to your +Name badge. Step 1: link and authorize the access to your Gmail. 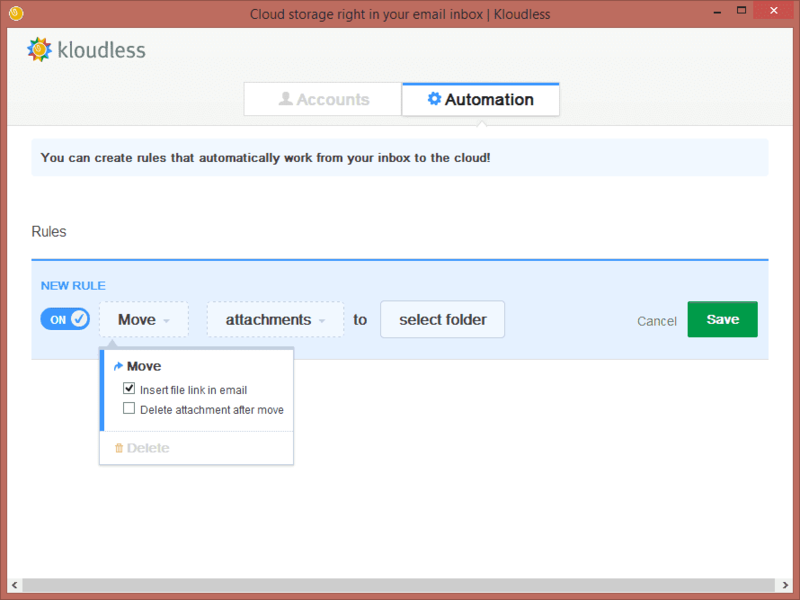 Step 3: Set up a rule to automate the process of moving or copying attachments to the cloud. 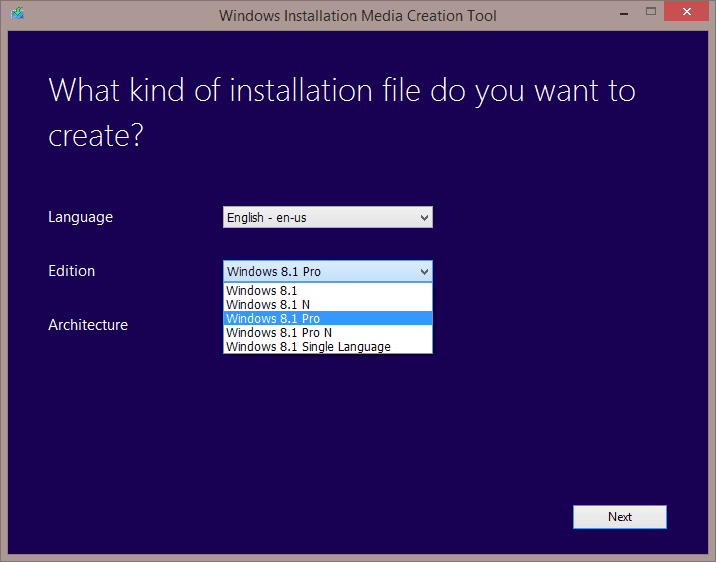 It’s optional, but having one setup will definitely streamline the process. Now, it’s ready, and let’s rock. From this point on, your Gmail and one of your cloud services are seamlessly integrated. 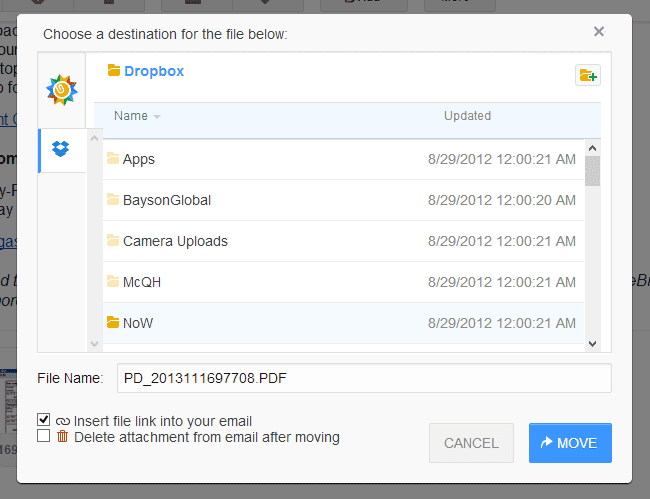 If you have an automated rule set up, the attachments will be automatically either copied or moved to the cloud. If not, you will have the options to manually copy or move them to the cloud. 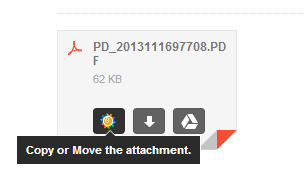 You will see an extra icon appearing to the new Gmail’s attachment thumbnail. Clicking on it will either copy or move the attachment to one of the cloud services you have previously connected. 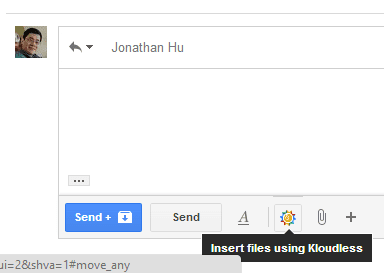 You can also see the Kloudless icon in the email composing window, which allows you to insert files directly from connected Cloud service into email as attachments. 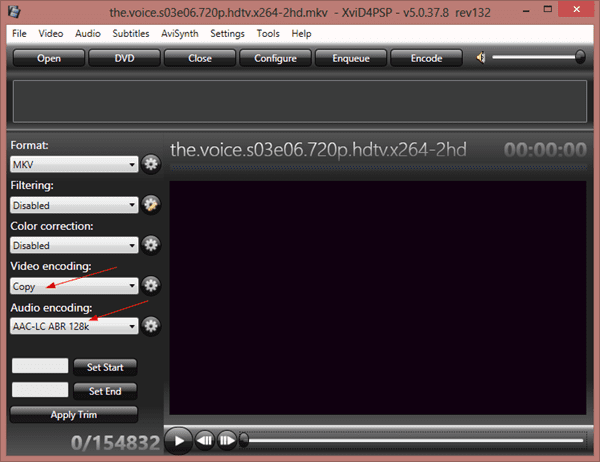 Even though it’s still in public beta, Kloudless works like a completed product to me. It integrate well with my Gmail on Chrome, and works smoothly with Dropbox I connected with. If you are using Gmail and Chrome, congratulations, you don’t want to miss this cool tool. But if not, you can only hope a wild range of support would come in the final release from team at Kloudless. Thanks for your review of Kloudless. 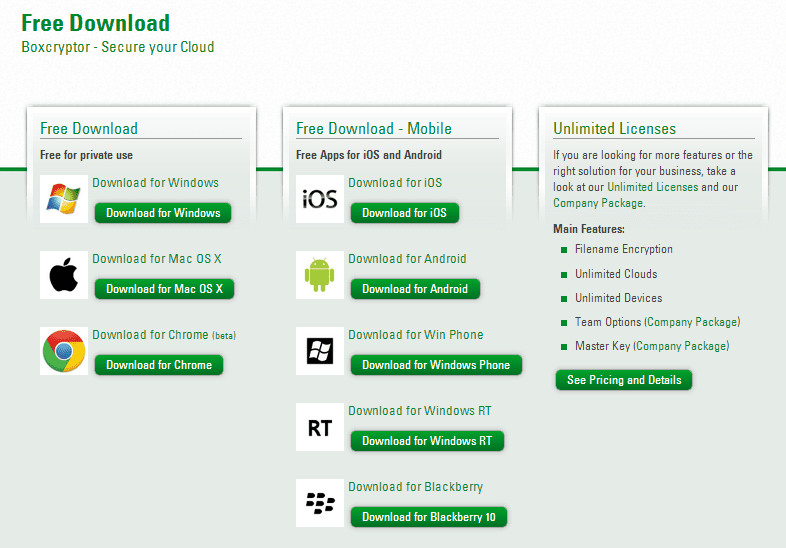 We’ve added support for several other cloud services, including SkyDrive, Bitcasa and SugarSync. We’d love for you to try them out and let us know what you think. We’re always open to feedback at hello at kloudless dot com. Kloudless also has an extension available for firefox, for those so inclined.